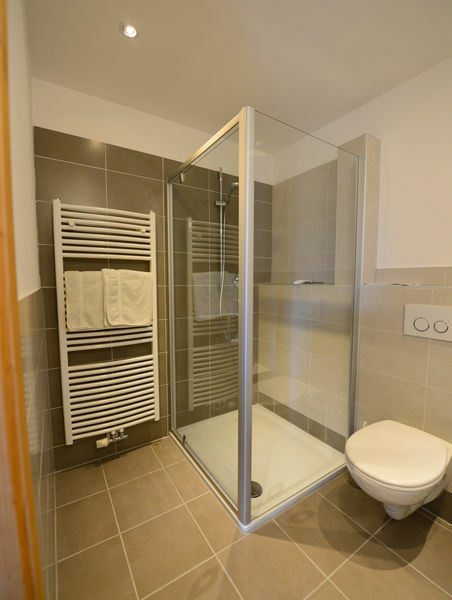 Our apartments with 42 to 53 square metres of space feature a combined kitchen/living room, a double bed room, bathroom with toilet, bidet and shower and a balcony. The fully-fitted kitchens include dishwasher, crockery, water boiler and a coffee machine. If required, a small oven will also be available. 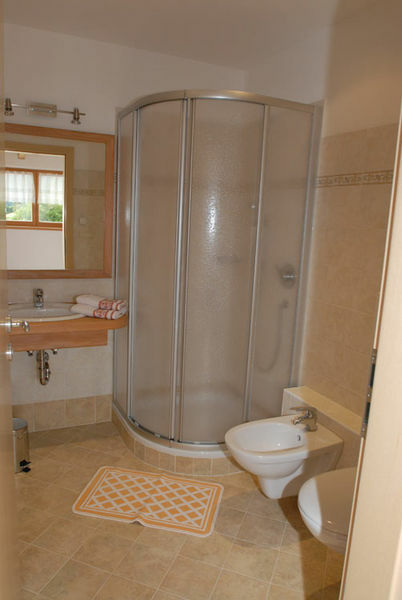 Bed linen, hand towels as well as kitchen towels are provided, of course. 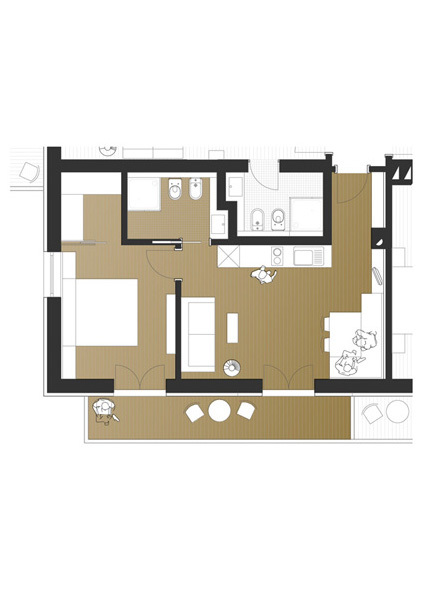 In addition you will find a large Flat Panel TV in each apartment and free WLAN in the whole building. If required, a children’s bed and a high chair are provided. Skis, sleds, baby carriages and bicycles can be stored in a lockable room on the ground floor. If you wish, we offer you fresh bread from our baker’s and fresh milk from our cows every morning. Our apartment 1 on the first floor, offers accommodation for two to four guests on comfortable 42 square metres of space. 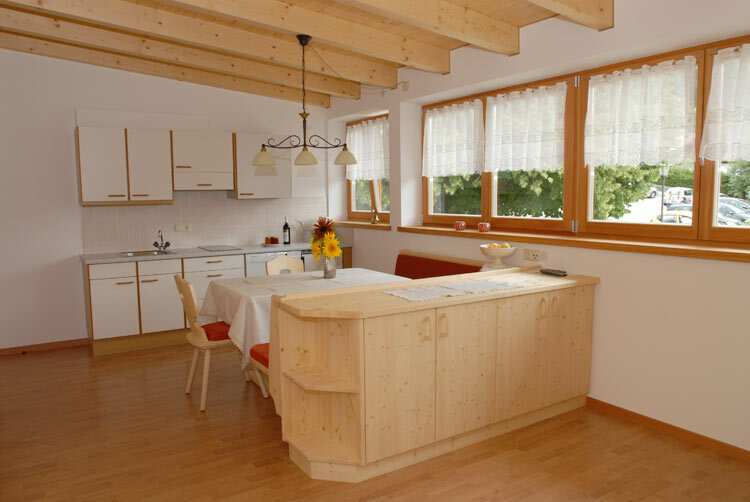 The furniture made of old spruce wood and soft loden will give you a natural atmosphere to feel well. 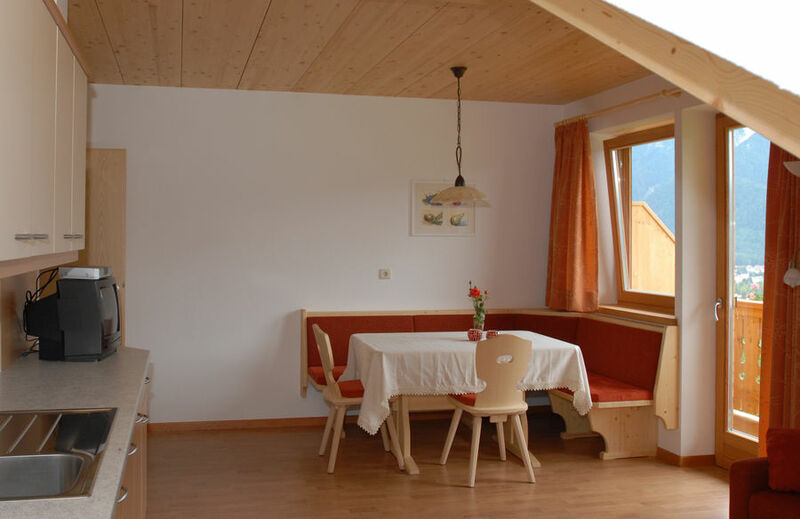 On the spacious balcony to the south you can enjoy a wonderful view onto the mountains of Toblach/Dobbiaco and relax completely. 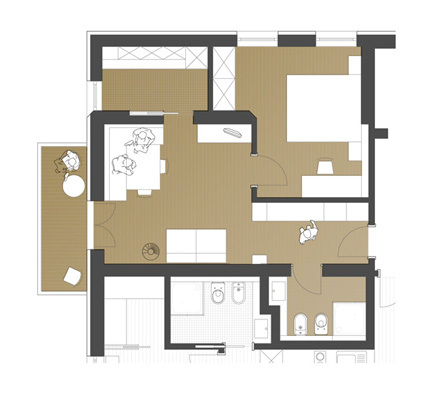 The unit consists of a light kitchen/living room with seating-area, modern kitchen and pull-out couch, a spacious bathroom with shower and a room with double bed. This apartment on the first floor, offers 44 square metres of space for two to four guests. 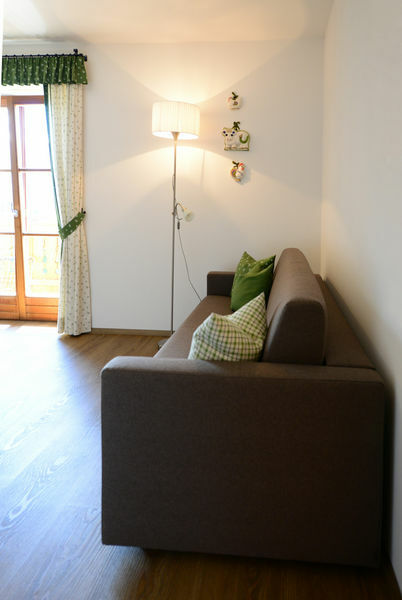 From the westward balcony you can enjoy the evening sun and you have a wonderful view of the Braies/Prags Dolomites. 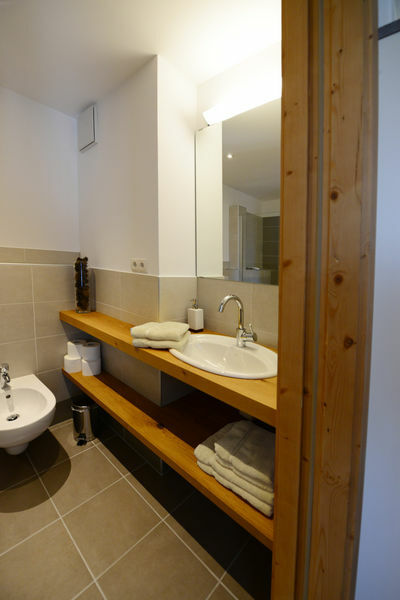 The unit consists of a living room with pull-out couch, a small separate kitchen, a spacious bath room with shower and a double bed room. 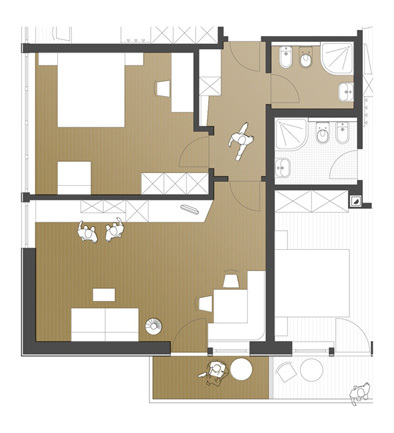 This apartment, on the second floor, offers 53 square metres of space for two to four guests. 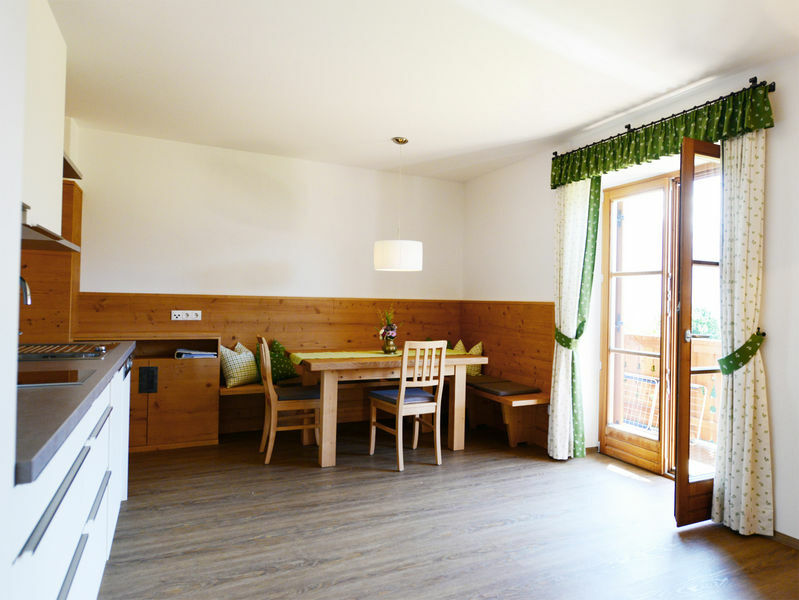 This apartment, offering the ultimate in quiet and relaxation, provides you with a majestic free view of the mountain surroundings and natural beauty of Dobbiaco/Toblach. 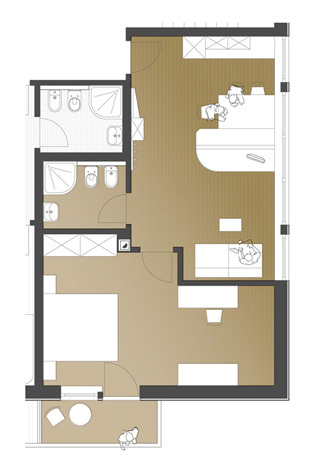 The unit has a spacious kitchen/living room with pull-out couch, a room with double bed and a bathroom with shower. 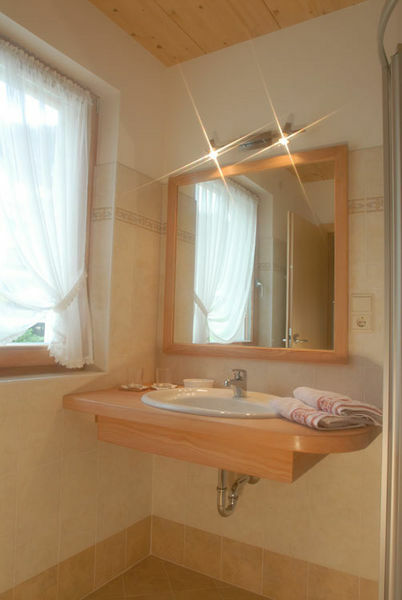 This apartment, on the second floor, also offers 53 square metres of space for two to four guests. 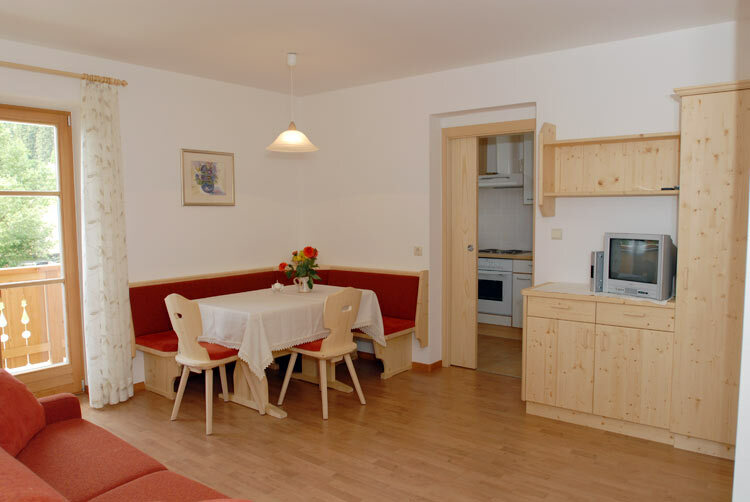 This apartment, offering the ultimate in quiet and relaxation, provides you with a majestic free view of the mountain surroundings and natural beauty of Dobbiaco/Toblach.